Women who are pregnant or breastfeeding should also look for an althernative treatment. Trichomonas vaginalis is a parasitic sexually transmitted infection which can occur in both men and women, though it is considerably more common in women. This infection is not considered to be a common STI, though this may be because its discovery was relatively recent and diagnosis can be difficult because it can appear to be quite similar to other STIs. 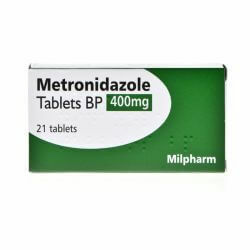 Fortunately, trichomonas vaginalis is easy to treat using a medication called Metronidazole. If you have been diagnosed with this infection after taking a test - a necessary step as this infection usually does not display any symptoms - it is important to take appropriate trichomonas vaginalis treatment as it can cause long-term health problems if it is not treated, including prostatitis in men and an increased risk of premature labour in women. Having trichomonas vaginalis also increases your susceptibility to other STIs.